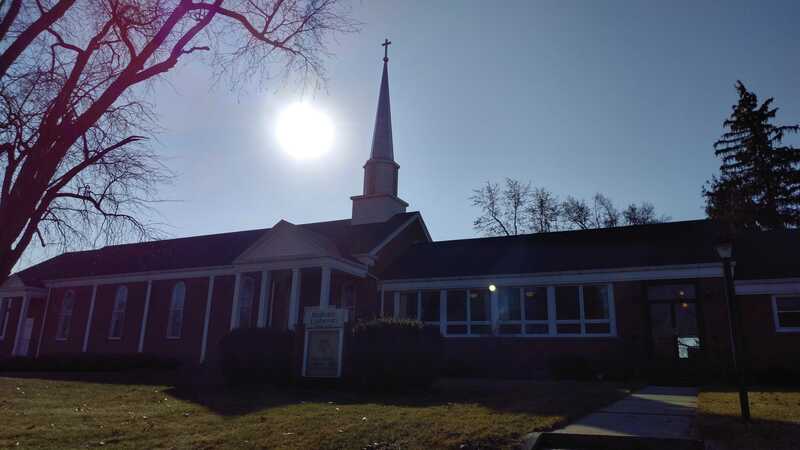 Bethany began in 1952 as a mission congregation at 2435 Engle Road, just south of Indian Village. The first church building was completed in February that year. There were eleven adult members. The church building was expanded to its present size in 1957. By 1962, Bethany had 740 members, though recent decades have reduced her to a more cozy size of about 130 people. Bethany is driven by her zeal in proclaiming the Gospel of Christ purely and demonstrating the true compassion of Christ for all people. Bethany's focus on the Gospel fueled her early, rapid growth and innovative approach to proclaiming the Good News. Bethany made improvements to her sanctuary to adorn the preaching of the Gospel there. In 1970, an 18-rank Wicks pipe organ was dedicated and still provides beautiful accompaniment to Bethany's services. The artistic stained-glass windows which fill the sanctuary with colored light were installed in 1975. In 1990, driven to proclaim the Gospel even more clearly, Bethany joined the Lutheran Church-Missouri Synod and is still a member of the English District of the LCMS today. Bethany is still located at 2435 Engle Road just west of Bluffton Road and offers divine service on Sunday morning at 9:00. Bible class is offered every Sunday after this service. Sunday School is also offered after service from September through May. Bethany invites you to worship and celebrate God's astonishing Grace with us. Bethany Lutheran Church. All rights reserved.